With the end of March approaching shortly, I'm thinking shorts and sunshine is just around the corner. This week, I got a few things for me and a few things for my little guy. 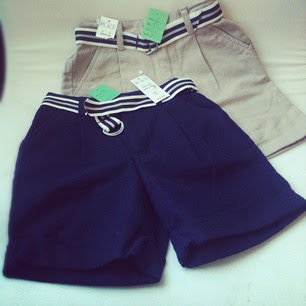 Two brand new pair of shorts from The Children's Place $3 each! 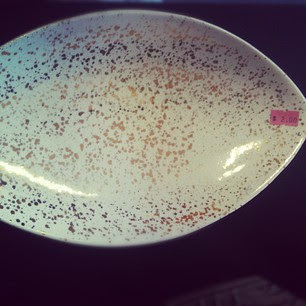 Shiny gold speckled ceramic dish $2. 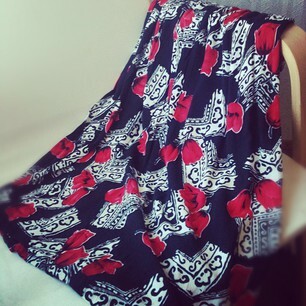 This tulip skirt, which I love, for $2.50. All of this for a grand total of: $10.50! I have a little theory that I've developed about if I scored good or not while hunting for things around $10. Do you get butterflies a tiny little bit in your stomach? If so, you did GOOD! If not, keep looking for that great score because you will find it.